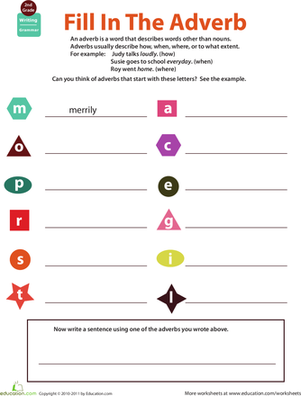 Is your child an adverb buff? 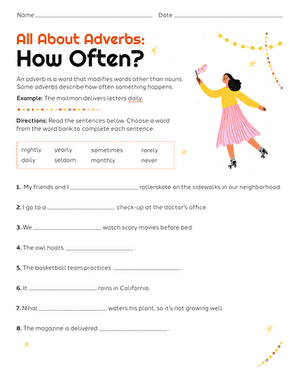 Test her adverb savvy by challenging her to compose her own sentences from scratch using the adverbs listed. She'll have a better understanding of adverb grammar by the end and will get good practice building sentences and handwriting along the way. 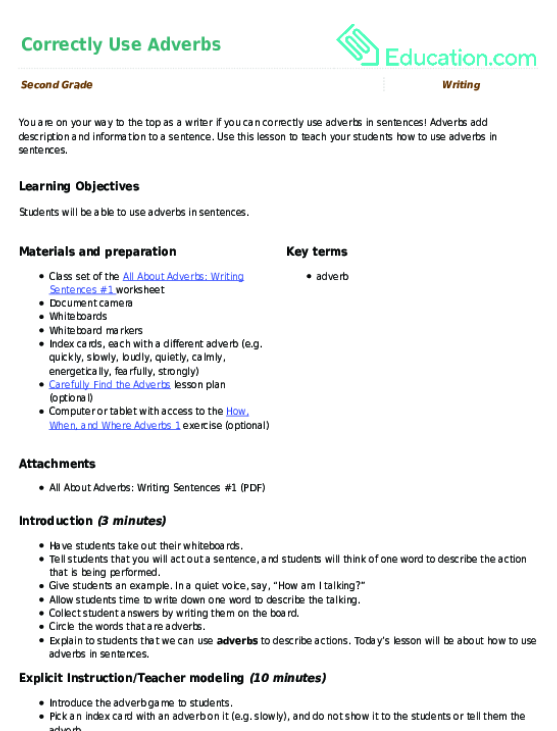 This worksheet supports the lesson plan Article and Adverb Attachments. For more about adverbs, check out the rest of the All About Adverbs series. 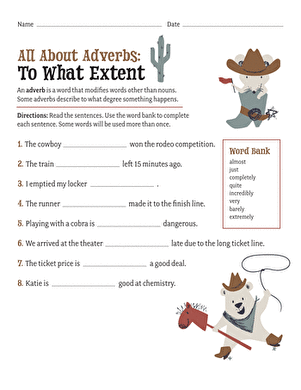 Use this lesson to teach your students how to use adverbs in sentences.